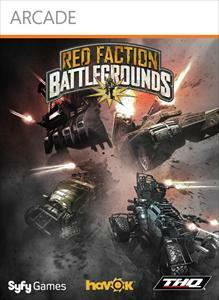 (Online Interactions Not Rated by the ESRB) The destructive gameplay from the Red Faction franchise comes to the arcade with twin-stick shooter Red Faction: Battlegrounds! 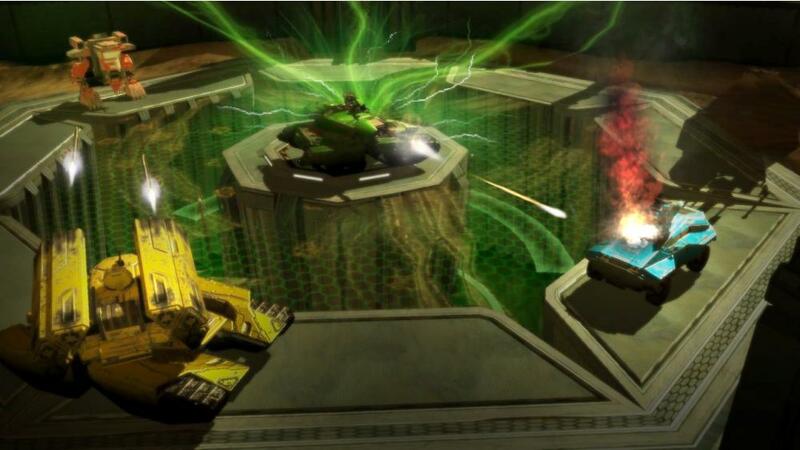 Jump into your favorite tank or mech and use Gauss Cannons, Thermobaric Rockets, and Singularity Bombs to destroy the competition in a variety of party-play style local and online multiplayer modes and single player challenges. 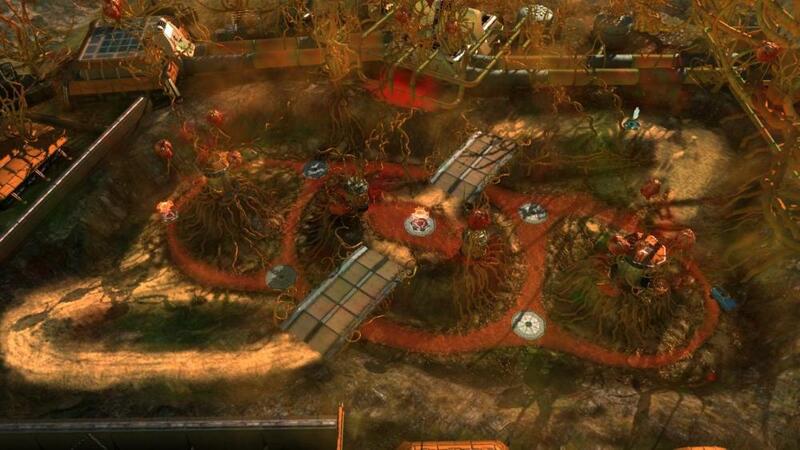 Blast, burn and blow away the competition in Red Faction: Battlegrounds with the new Origins DLC Pack! Destroy your enemies at high speeds in the new Race multiplayer mode. Hone your skills in new missions like Run and Gun, Riding Shotgun and Blast from the Past. And what would great DLC be without new vehicles like the Marauder Stomper and the Marauder Chomper, with new mounted guns to crush the competition. Just when you thought you’d killed everyone in every way on every map possible, now there are new vehicles, new arenas, new training missions and new achievements to allow you to creatively wreak havoc like never before! 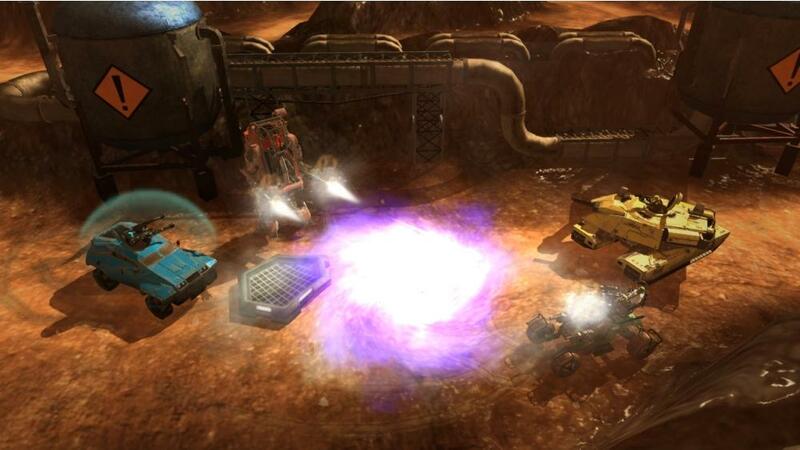 Detonate, incinerate, and eradicate the competition in Red Faction: Battlegrounds with the new Armageddon DLC Pack! Brave the heat in the new Magma Dock map wearing the L.E.O. Exo from Red Faction®: Armageddon™. 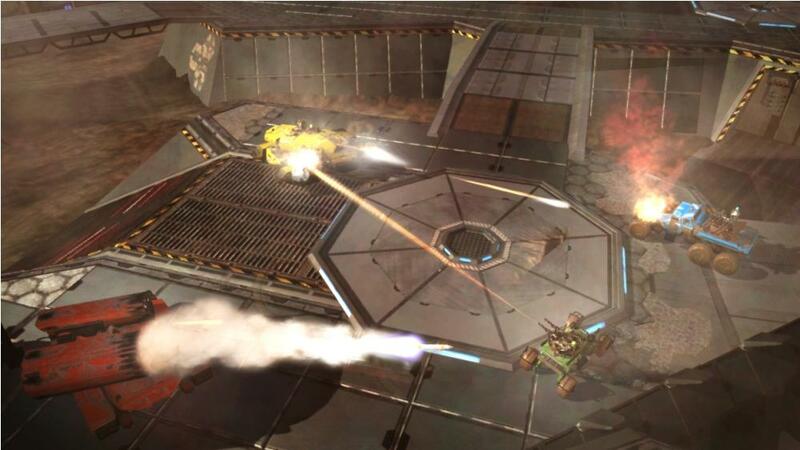 Coldly crush the opposition in the new Ice Chamber arena with the Singularity Cannon mounted on your LAV. 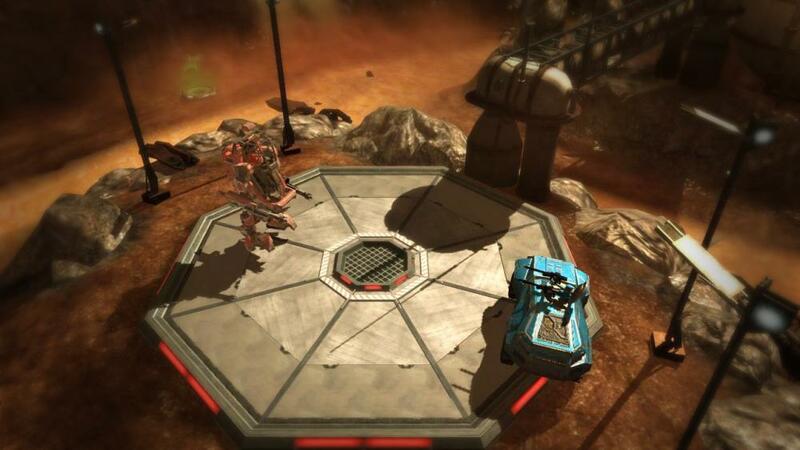 All new vehicles like the EDF Crusader Tank (with plasma mini-guns) and the Marauder Buggy (with grenade launcher) crank up the destructive possibilities. Surprise your enemies with the new Quad damage pick-up that makes one shot hit them like four. New maps, new vehicles, new missions and new achievements allow you to continue the relentless destruction! The destructive gameplay from the Red Faction franchise comes to the arcade with twin-stick shooter Red Faction: Battlegrounds! Jump into your favorite tank or mech and use Gauss Cannons, Thermobaric Rockets, and Singularity Bombs to destroy the competition in a variety of party-play style local and online multiplayer modes and single player challenges.